It’s felt like an endless fall here in Maryland. Occasionally we got a dusting of snow, but now everyone seems to be ready for spring. I’m still waiting for winter to show up. =) The other week the boys and I road tripped it to VA to spend the weekend with my parents, and found out there is a new brick and mortar P.S. Aeropostale on the way to her house! I figured we’d stop in for a few minutes, but ended up spending over an hour in there. What do you do when you have a son that WANTS to try on a lot of the clothing? hahahaha You let him. Buddy has outgrown p.s. from Aero and has moved over to the Guys store. How has he gotten that big (insert sobbing). Doodle on the other hand, I let him walk around the boys department to get an idea of what he might like. Oh that boy…he’s got a leeeetle ways to go before he understands how to coordinate his clothing. So, mom jumped in to help. I couldn’t help myself. I have to say, it was pretty nice to be shopping for shorts. I’ve heard that it gets warm around here rather early. He was pulled in by all of the new t-shirts. I think if he could, he’d have 2 pairs of pants/shorts and 20 t-shirts. Right now, anything with a mustache grabs his attention! He came home with the shark t-shirt in the picture below. Thankfully I was on hand to direct him to the new shorts. After he started seeing outfits together he asked if he could start trying them on. Woot! My boys is ok with actually trying clothing on, not just picking things out and hoping it all works together once he gets home! heh heh heh Can you tell her likes modeling his clothing? He kept showing me poses with each thing he tried on. That was probably the best part of the shopping trip! The employees at the new store were so fun to work with! I actually found them because of Instagram! I had been having to shop online and having a store the boys I can stop at on the way to mom’s is perfect! I was so excited as we were leaving, one of the guys came up and told us that Marvel apparel would be coming out a week after we were there! With Captain America coming out soon, both of my boys wanted in on that action. After we get a couple of those, we’ll have to get in on some of the Bullpen apparel now that spring training has started and baseball is about to start! To top off Doodle’s shopping trip for the warm weather that’s around the corner, he grabbed a pair of shark flip flops and the white hat you see in the top photo. This boy can’t ever have too many pairs of boxing shorts so we snagged a couple of those, too. lol No, I didn’t grab photos of them. If you haven’t heard yet, be sure to enter your kid to be a p.s. Epic Kid! 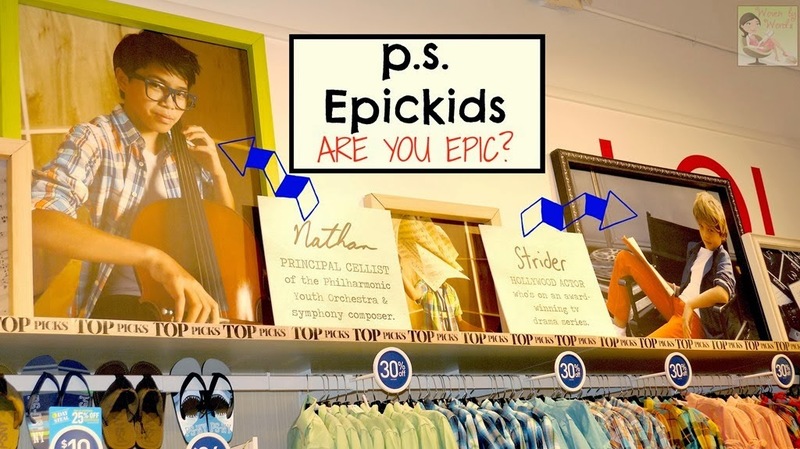 At the stores you can see the walls decorated with some Epic Kids, as well as on their site. If p.s. 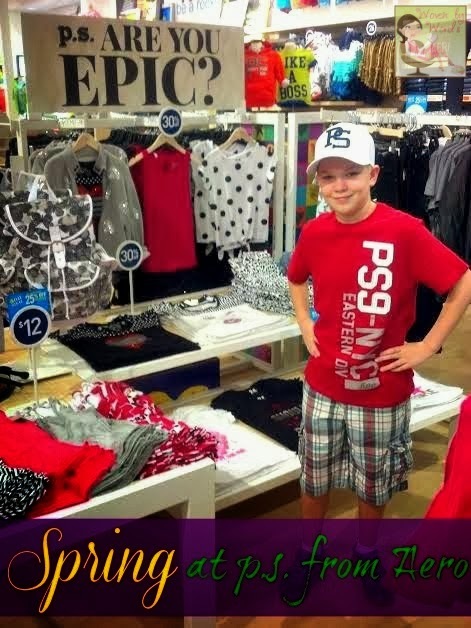 from Aero thinks your kid is Epic, you can win $100 and your kid would be featured on their homepage. Follow them on Instagram, Facebook or Twitter and use the #psEPICkids. Tell them why your kid is Epic and you might win! 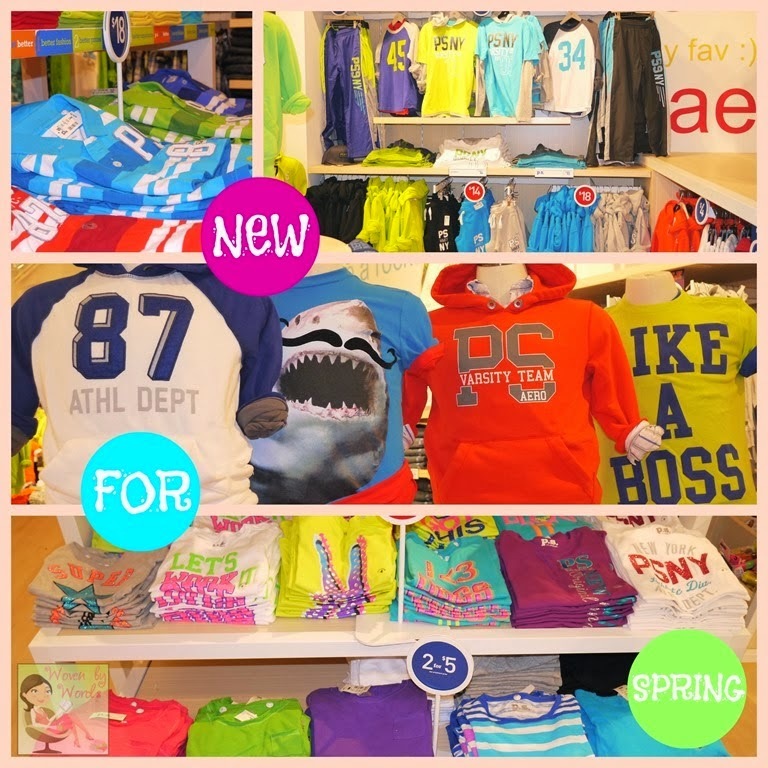 Have you started shopping for spring clothes yet? We are avoiding it and my oldes is WAY TO COOL for trend clothes (teenaged) and the youngest who is 4 also has no style and likes to mix and match. But I still love to clothes shop for them! Thank you for sharing it! I think my son would love it. I thought they had fashion for older kids! I have not started shopping for Spring yet. I have not heard of this store so will look and see if there are some in my area. You have some great models in your family and enjoyed seeing what they choose. 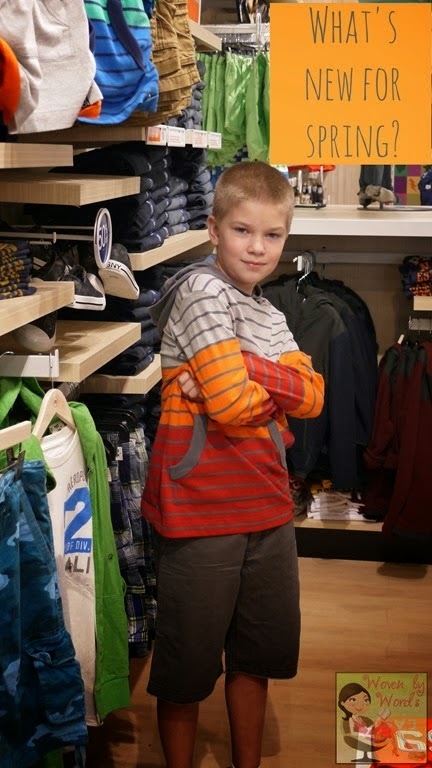 I have a grandson who would probably be like your son and love to go here for his clothing and I could picture him modeling like your son. Most of the time, he doesn't like shopping. No shopping for spring clothes yet. We live in Florida so it's really shorts weather year-round. Even when it's cold (in the 50s), my oldest still wears shorts.